Santa Rosa home care offers transitional care considerations to keep in mind. 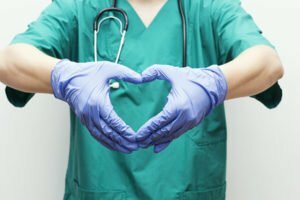 After recovering from heart surgery, an intricate web of transitional care needs develops, from nutritional changes to incision care, pain management, swelling minimization, and more. The last thing an older adult wants after returning home from such a traumatic event is to face the need for rehospitalization. Always keep the incision clean and dry. The incision can be gently washed (don’t rub) with soap. Do not use creams or lotions on incisions until healing is complete. Occasionally a swelling or lump appears at the top of the chest incision, and can take several months to go away completely. Initially, there may be some muscle or incision uncomfortableness in the chest area during physical activity, but there should not be pain in the chest comparable to the pain prior to surgery. A prescription for a pain medication will be given before leaving the hospital. Itching, tightness and/or numbness along the incision are typical after surgery. If the surgery was bypass surgery, and if vein grafts from the legs were used, there may be more pain in the legs than surrounding the chest incision. Walking, daily activities, and time will help to reduce leg discomfort and stiffness. Walk daily even if legs are swollen. Hospital support hose may be advised. Do not cross legs while lying in bed or sitting. This places pressure on the veins under the knees and slows down blood flow. Temperature higher than 101 degrees F on more than one occasion or chills for 24 hours. The professional home care company Santa Rosa, CA families trust, Hired Hands Homecare, can help significantly in keeping your senior loved one on the road to recovery after heart surgery by providing personal care services, helping around the home and with meals to allow him or her to rest and recuperate, running errands, picking up prescriptions, and so much more. Call us at (866) 940-4343 to let us know more about how we can help you.